Every April during Applied Materials’ annual EarthWorks campaign, employees throughout the world rally around causes related to the environment through volunteer activities such as the Mt. Fuji clean-up in Japan; restoration of the Ulistac Open Space preserve in Santa Clara, CA; tree plantings in Austin, TX and Hsinchu City, Taiwan; and an electronics recycling drive in Malta, NY. This month-long tradition of employee engagement complements the company’s year-round support for environmental stewardship and education through our strategic grantmaking program. I’m proud to share that last year, Applied Materials and the Applied Materials Foundation donated over half a million dollars to environmental causes globally. 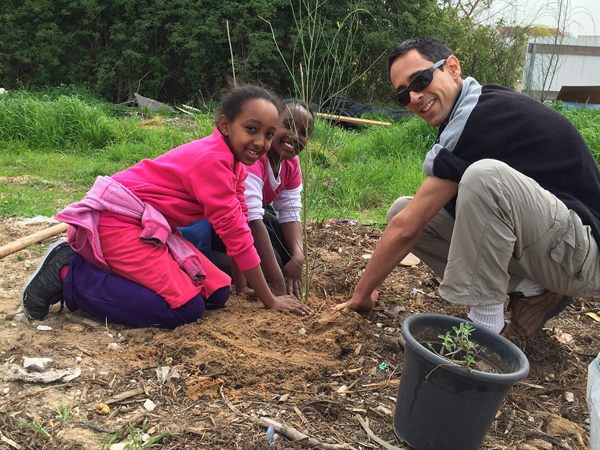 As we get set to celebrate Earth Day on April 22, we are highlighting four projects we fund to cultivate the next generation of environmental stewards through hands-on learning in community and school gardens. Veggielution (San Jose, CA): Through the East Side Explorers program, more than 1,000 middle school students in East San Jose are learning about food, farming and environmental stewardship by participating in experiential, collaborative activities at this local six-acre community farm. Urban Roots (Austin, TX): A diverse group of 30 youth interns ages 14–17 are being sponsored this spring and summer to spend over 100 hours in the fields, learning to plant, care for, and harvest 25,000 pounds of produce. Approximately 40 percent of the harvest is donated to neighborhood soup kitchens and food pantries and the rest is sold at local farmers markets. Backyard Growers (Gloucester, MA): Students ages 5–12 are learning about nutrition and gardening through hands-on workshops. Last year they grew and harvested more than 1,000 pounds of fresh vegetables, the majority of which was used in the school cafeteria and the excess was donated to local food pantries. 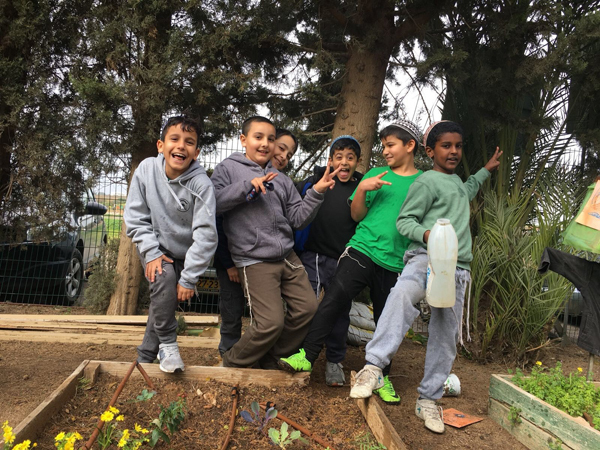 Moatza Le Shimur Atarim (Rehovot, Israel): Applied volunteers have created a large organic vegetable garden in the grounds of the Pardesanut Museum. Children from Sinai elementary school visit the site on a weekly basis and, together with Applied employees and a professional gardener, they work in the garden and participate in environmental education activities. As part of the project, the kids also get to take home the produce, sharing fresh vegetables with their family and friends. By supporting organizations like these, Applied Materials and its Foundation are planting the seeds of purpose in our youth. We hope you will be inspired to join us this Earth Day and every day in celebrating all that our wonderful planet has to offer — through stewardship, engagement and action! Follow us on Twitter at @Applied4Good to see how employees around the world are making a difference in their communities.